E.M. Snow, Inc. located just under ten minutes from Newton MA is happy to provide homeowners within their community with high-quality roofing, siding, and replacement window services. We are constantly busy but are always happy to take new projects on. We thrive on transforming homes and giving them a fresh slate of new life. If you are experiencing any issues that need replacements or if you need a brand new installation that is what we specialize in. What E.M. offers for all roofing customers are CertainTeed asphalt solutions and EPDM rubber roofing solutions. 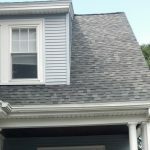 Asphalt(the more typical option) roofing from CertainTeed provides an industry leading and trusted shingle. As such a large company, we are also proud to be acknowledged by them as a lead. Since 2005 we have been rated a SELECT ShingleMaster. 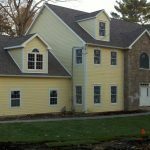 Boost your curb appeal, restore your homes beauty and protect your loved ones inside with the installation of brand new siding. E.M. Snow, Inc. provides Newton residents with reliable siding solutions that will make you wonder why you didn’t do this sooner! These two siding options are both great but also different. We suggest you do your research, check out the links above and call our team to talk. From start to finish, we will guide you, make suggestions based off your feedback and coat your home, giving it a brand new look and appeal. Also providing our replacement windows and decking solutions, please feel free to explore those sections of our website! If you have any questions or are interesting in getting a quote, please feel free to reach out. We can be contacted over the phone at 781-893-4546 or through our online contact form.